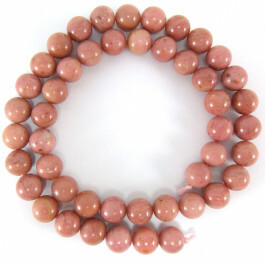 Rhodonite Gemstone Round 8mm (~50pce Strand) - 40cm/16'" Strand. Rhodonite, the name comes from the Greek word Rhodos that translates to rosy. 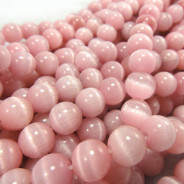 Rhodonite gemstone soft pink in colour with black veins, sometimes with greyish brown variants due to the presence of zinc. 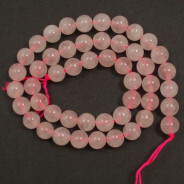 Rhodonite properties: grounds energy, a stone of love, elegance and compassion. 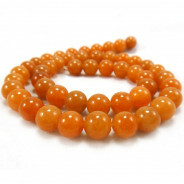 Is believed to aid in healing physically and emotionally. Rhodonite encourages forgiveness and self confidence. 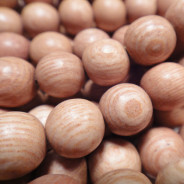 Also believed to stimulate fertility.